What's In Your Cart, Cyrus Bolooki? Welcome back to What’s In Your Cart, where we ask noteworthy readers and followers on @KinjaDeals and @ItsTheInventory about their favorite products, their shopping habits, and their deal hunting acumen. 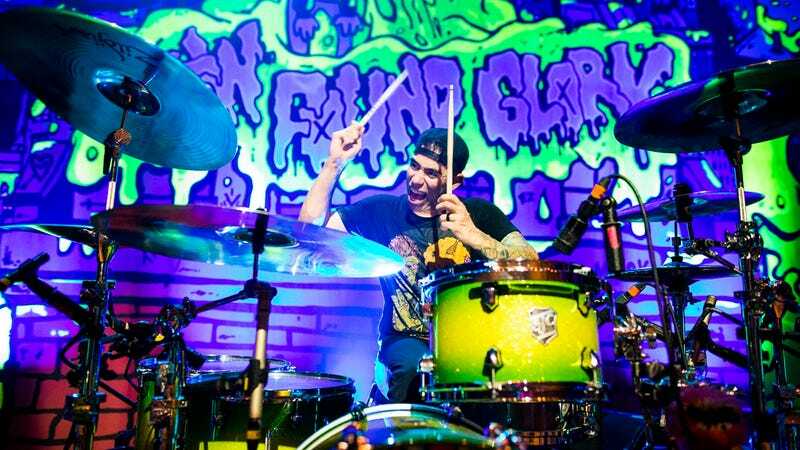 This week, we traded emails with Cyrus Bolooki, drummer for the band New Found Glory, and licensed Realtor® in Boca Raton, FL. 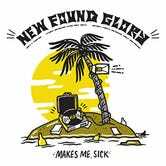 New Found Glory’s latest album, From The Screen To Your Stereo 3, comes out on May 3, and features covers of songs from a variety of movie soundtracks. You can find out more about the album, and NFG’s latest touring schedule over on their site, and you can follow Cyrus on Twitter and Instagram at @cyrusbolooki. For the most part I would say I’m a deal hunter. I buy some things quickly or on the spot out of necessity, but if there’s enough time, even while I’m in a store, I’ll try and hop online to check out whether there’s a deal to be had or not. And, I do both — look for deals on products I want and buy products because I saw a deal — although if I’m buying purely because of a deal, that deal better be worth it! Hard question to answer, because it seems like every day there’s a new great deal on the market. 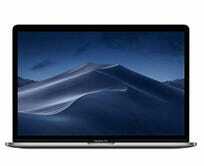 I’ve done some of the usual, like getting a great price on an Apple laptop by shopping elsewhere besides the Apple Store or apple.com, which can be a significant savings from the normal price. I actually think one of the best deals I got was by calling T-Mobile (I’m a customer of theirs) and getting one of their Personal Cellspots, a wireless router, essentially for free, and then using it as my main router in my home, just because I heard that they were offering them to customers for a small downpayment through an online site. Probably Amazon like most of the world. In person, it’s usually Target or Walmart (they’re located very close to my house). That’s if I need “anything,” otherwise I will go to a specialty store if I know exactly what I want. Since I’m a musician, I’d definitely have to say studio recording gear, easily exceeding $5000. Was it worth it? Of course, and besides getting a good deal (and working a little marketing charm in there for an additional discount), I usually try to purchase recording gear that’s tried and true, and when possible, stuff that won’t depreciate in value over time. Any particular studio gear recommendations that stand out? That’s definitely a loaded question, as studio gear needs can vary drastically based on the type of music you’re recording and/or the location you’ll be recording in. For me, I do a lot of recording on the road, so everything is about portability, and I need at the very least a laptop, a recording interface, and a good set of headphones. I’m a big fan of Universal Audio recording interfaces lately. 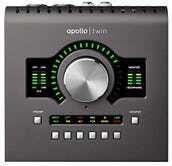 I’ve used their Apollo series interfaces a bunch, and we actually recorded a majority of our album Makes Me Sick through an Apollo Duet interface, even though we were setup in a full studio with a very expensive Pro Tools HD system with racks of gear at our disposal! The UA stuff is awesome sounding, and again, can be very portable, so you can bring them practically anywhere. I also love Universal Audio analog products, like their reissues of the 1176LN Limiter and LA-2A Compressor. I own both of those for my home studio, and practically every major studio I’m in has at least 1 of each of those if not more, whether they are the reissues or the original things! As for deals on this stuff, it’s not necessarily easy to find deals, but if you look hard online, you might be able to find a retailer that can give a discount when you purchase a bunch of gear at once, or for some of the studio gear (as well as Apple products), I’ve found B&H Photo Video to be awesome because depending upon where you live, they won’t charge sales tax on your purchase, which can save you a bunch of money at the end of the day! 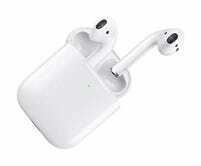 Apple AirPods. I was always on the fence about the headphones that were packaged with iPhones, as they would fall out of my ear and the cord would get caught on stuff. The AirPods are a lot better in that sense, and I love how seamless the transition in between using them and going back to no headphones, how the iPhone can detect you putting them in your ear, and also the Siri integration. On the flipside, what was the worst purchase you’ve made recently?Anything you had to return? For sure! 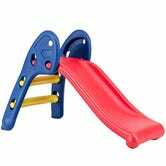 I recently purchased a toy ride-on car for my 4-year-old son through a big retailer’s website (to be fair, the product was sold and shipped by a third party), and upon receiving and assembling the car, I noticed the turning radius was WAY off. Like to the point where you could barely make a circle when turning one direction versus the other. The return policy (and subsequent restocking fees) were astronomical, but I took the fight to the retailer themselves, and proved that the item was defective before purchase, and they in turn agreed to waive all of the fees and issue a 100% refund to me. My wife bought me an Apple Watch Series 4 for my birthday back in February. I’ve owned an Apple Watch since practically the beginning — in fact, I was still on my original Apple Watch (1st gen) when I was gifted the new one. The difference in speed is insane between the two models, and I especially love seeing my exercise stats after wearing it while playing drums! What do you do to keep yourself entertained when you’re out on tour? Do you keep anything with you to make yourself feel more at home? After being on tour for 20+ years, you definitely find things that you enjoy while you’re traveling. I also have a rough schedule that I like to stick by so that I don’t forget to do anything and feel prepared for shows. But for the most part, I definitely enjoy looking up where I’m at on my phone either the morning of or night before a show and going exploring during the day, usually walking everywhere to get outdoors and get a little exercise. Maybe I can discover a new restaurant, or hit the most famous spot for whatever food for lunch, learn something new about the city we’re playing, and feel good about myself by the time I get back to the venue. FaceTime definitely helps make you feel at home in the sense that you can see what’s going on 24/7…especially since when we first started touring no one had cellphones and I would travel with a calling card that my parents gave me to call home every few days from a payphone to let them know I was still alive! I also spend a decent amount of time after performances catching up on TV shows and movies on an iPad or my laptop, and will from time to time write/record music, whether for New Found Glory or myself, in the back lounge while on tour. Have you ever had anything other than food delivered to you while you were on tour, like from Amazon Prime Now or Postmates? What’s the weirdest thing you ever ordered on the road? Well, I’ve definitely had a lot of food delivered to me on tour, and it’s always interesting to hear the response on the other end of the line when you give your address as “tour bus.” I don’t take a lot of chances with actual items being delivered, though, as time is usually of the essence. Whenever possible, I’ll order things ahead of time and ship a day or two early to a hotel or venue that we will be passing through, or lots of times it’s just good ol’ pick up the phone and call to see if something’s in stock, and then grab an Uber and get it. Also, we do have runners most days — people that are hired by the promoter to assist in doing things exactly like this — running errands and grabbing items needed for the shows, so they’re utilized a bunch while on tour. What sorts of things have you gotten shipped to hotels and venues ahead of time, out of curiosity? I’ve had everything from cases for drums to towels used to polish cymbals, shoes to coffee makers sent to hotels and venues ahead of time. It’s easier to have this stuff shipped if you can actually speak to a human when placing the order, as you have to be very smart when estimating arrival dates. Most hotels and venues are good about holding stuff for you if it arrives before you get there, but you have to do things like put “ATTN INCOMING GUEST XXXXXX” or something like that on the package just to make sure it doesn’t get turned away. Venues are even trickier because a lot of the venues don’t have regular business hours, and even the box office for the venue is only open certain days for short times, so if a delivery shows up at 9AM on a Tuesday morning, a lot of times no one will be there and the delivery will be rescheduled for the next day. For us, that could mean the difference between receiving an item, or having to contact the shipper to reroute it because we’re typically only in cities for one day before we roll on to the next town. When you’re not drumming, you’re also a licensed real estate agent, which is obviously a very different job. How do you stay on top of all of your to-do lists? I use the Apple Reminders app exclusively. I love how it syncs everything to all of my devices, and I can create different lists, use geolocating for certain reminders, and also create new reminders easily through Siri, no matter what device I have next to me. I’m a very meticulous person, so to-do lists are extremely valuable (and important) for me. I will look to collect credit card points if possible (although I know the valuation for them is usually next-to-nothing). I have an Amex Platinum, and our band has had a Amex business card for years, so I pretty much use that exclusively for big purchases. Although the annual fee is pretty steep, I try to take advantage of all of the benefits given through the card, like for instance the monthly Uber credits, the yearly airline fee reimbursements, rental car and hotel loyalty status, extra warranty protection, etc. No I don’t…it’s tough for me to do that as my schedule varies so much from month to month that I feel as though it would be a waste at times to have a subscription going while I’m gone (except for the gym, which is an important part of how I stay in shape while not on the road). I’m a tech guy, so I’d say my laptop, my iPhone, and, electricity/chargers to power those two things! Most people would forget that last one and be out of luck after a few hours…not me! Sheets and pillows. We’re very fortunate as a band that we almost always tour in a tour bus, a far cry from the beginnings traveling while packed in a van, however, no matter how comfortable those buses are with bunks to sleep in and plenty of storage, most people forget to think about how they are constantly leased out to different clients/bands, meaning those bunks and sheets are slept on by plenty of people, and who knows what kind of hygiene they’re dealing with? So, our entire band will pretty much always hit up a Walmart or Target at the beginning of a tour to grab new sheets and pillows for our bunks, and just discard them after every tour. Better safe than sorry! Do you have a certain brand of sheets you look out for before starting a tour? I’m not really particular with my sheets. It’s honestly more about getting a fresh set rather than blowing the bank on them, especially because they’re bound to be thrown away after a few weeks on a tour. I feel like I’ve seen a few investigative reports on TV that have proven that thread counts are essentially a marketing trick, that most people can’t even feel the difference between let’s say a 300 and 1200 thread count, so again, I’m not to concerned with that. Also, luckily for us, with the bus you’re buying twin sheets, so the price points are generally pretty low to start. Our usual ritual is to hit a Walmart or Target right at the beginning of a tour, so I’m usually just buying their house brand sheets. And, random note, I’m a plain color sheets person. Some of our guys are into the crazy design sheets, like cartoons and characters, etc. I’m a solid color, I don’t want anyone spending extra time looking at my bed type of person. I guess you’re probably used to it after all these years, but sleeping on a tour bus seems like it could be tough. Do you use anything to help you get to sleep like white noise, melatonin, noise canceling headphones, eye masks, anything like that? After 20+ years, I think you just get used to life on a bus, including how to sleep when there’s 11 other people around you, all on different schedules. Luckily the bunks always have little curtains that help to block out the light and somewhat the sound when closed, so that’s a start. We’re also (for the most part) pretty considerate, so there’s an unwritten law on the bus that you don’t go running up and down the halls in the middle of the night screaming or anything like that. And, the bunk area is located in the middle of the bus, usually separated with some type of door from the front and the back, so those doors are closed in the evening while every one is asleep, and it’ll allow people to still be awake in both the front and back yet still have some sort of peace and quiet in the bunk area. Plus, the bus itself is pretty loud when moving, but it’s a good loud, almost like a white noise, so that essentially will put you to sleep while you’re driving. It’s in the morning when you arrive at the venue and the bus shuts off that it can be very quiet in the bus where one phone ringing will wake up the entire bus and make for a bunch of sour attitudes that day! I’m in the market for a new Apple laptop, but Moore’s Law is killing me — I know there’s always something new that’s faster (and most likely smaller) on the horizon, and the second I buy a laptop it will already be considered “old.” In fact, I think I missed an awesome flash sale on MacBook Pros at Best Buy the other day…but isn’t Apple about to update the MacBook line any day now? 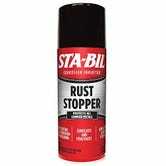 A folding slide for my children, a 2-pack of baby hair & body wash, and a can of rust and corrosion inhibitor. Random, isn’t it? Softsoap Antibacterial Hand Soap Refill — I think it’ll actually be cheaper to find it at a local store versus getting it shipped. Drum Workshop, Inc. DWCP9000 Single Bass Pedal with Bag — I didn’t need it, but used Amazon to get the shipping dimensions and weight since I had one of my own that I had to ship back to the company for repair and was trying to estimate the shipping charges for it. Apple MacBook Pro 15” — See above, I panicked and ended up not purchasing it. Probably better as from what I’ve seen, for the most part B&H Photo has better deals on MacBooks on a daily basis!